The Israelization of governments, militaries and security forces means the Palestinianization of most of the rest of us. In a colonial country as wealthy in raw materials as Canada is… awakening can take decades, if not centuries. If Canada had taken control and major ownership of Canadian fossil fuels (just for instance), it might have no national or provincial debt. And, like Norway (with fewer fossil fuel resources than Canada has) it could be sporting something like Norway’s One Trillion Dollar Heritage Fund for use in (future) troubled times. Instead, Canadian governments have HUGE debt and Canadians live in troubled times … now. If Canada had only retained the right of the Bank of Canada to make interest-free loans to Canadian governments for infrastructure and related needs (Pierre Trudeau handed the right away in 1974 on behalf of Canadian and global private banks), then the Canadian Heritage Fund for use on a rainy day might easily be pushing far above the One Trillion Dollar mark … instead of being virtually a minus quantity … as it is now …. The picture is depressing, especially since those are only two examples among a great many Canadian (colonial) failures to grasp opportunity. It is especially depressing because Canadians are brainwashed to see none of it, and they are trained to believe that (1) the Canadian wealthy and political leadership are, usually, honest; (2) that bad, bad things happen where it really matters, in the USA. But not here; (3) that fake news and fake newsmakers are in the USA … not in Canada; (4) that the CBC, for instance, “covers Canada well”; (5) that bad people happen in Canada, but not often, and we (deeply colonial in fact, and deeply a part of the worst U.S. savagery engaged in around the world – actively refusing to take over our own government for our own people) are – somehow … admirable and principled people with admirable and principled leaders. We think all of those things because the majority of Canadian journalists and political commentators are earnest, focussed, even intense … shams. Where they are not (mostly) out-and-out liars … they are (mostly) lies. The first group misleads on purpose. The second is taken in and tells lies because it believes them. What do leading Canadian political commentators have to say about all that? Why … nothing, of course. That’s why they’re leading political commentators (Canadian-style). Take Chantal Hebert, just for instance – all over the press and media. And Andrew Coyne, columnist for the National Post (and elsewhere). Those two are higher profile than many others … but representative of the pack, I say. The National Post, remember, was founded by ex-convict Conrad Black. The paper was founded specifically to further neo-liberal (what I call neo-fascist) politics in Canada. The National Post would have collapsed early if it had been a normal business undertaking. It wasn’t that. It was founded as a propaganda sheet for neo-liberal (neo-fascist) forces in Canada. For at least its first twelve years it lost money … year after year after year … and may be still doing so. It’s kept alive as a political pamphlet masquerading as a daily newspaper. It should have disappeared. But someone swallows its debt and keeps it going as a major propaganda source for the likes of, say, Stephen Harper, for the likes of, say, Andrew Scheer – for what I call fascist politics in Canada. When Conrad Black (Lord Black of Cross Harbour) was released from U.S. prison … he had a problem. Having renounced Canadian citizenship to become a British Lord, he didn’t belong in Canada. But if he went “home” to England and tried to enter the House of Lords as a Lord himself, he would have been tossed out on his ear and sent packing. The Lords of Britain are not attracted to ex-convicts! Since the National Post had helped prepare the victory of Stephen Harper’s neo-liberal (I say “neo-fascist”) “Conservative” government, Harper was happy to have Lord Black take up residence in Canada. The National Post welcomed him. The Globe and Mail positively fawned on him … as if a hero. Remember too: the Globe and Mail, the National Post and ALL the Post Media newspapers across Canada worked for a Stephen Harper victory in the 2015 election. Let us not fool ourselves about Canada’s “Free Press”. So let us not fool ourselves, either, about Chantal Hebert, Andrew Coyne, and their kind. Andrew Coyne works for the National Post. Chantal Hebert writes for … for other outlets. Both Hebert and Coyne have been long members of CBC’s panel on National Affairs where the absolutely key issues of Canadian life are never discussed …. Chantal Hebert is even, Canadian-style, a senior Fellow of Massey College in the University of Toronto. When you get into the belly of the Canadian Ruling Class … it shows … and shows. Lyin’ Brian Mulroney’s last Chief of Staff (before Mulroney went down in flames) is the present Master of Massey College, (Hugh Segal). Hebert and Coyne (I say) are everywhere. They do the bidding of their masters. They do not (I say) work for Canadians. They work for their masters and live in the land of Perks Canada. But … But, you say, “they have both been energetically on the Bill Morneau-Shepell story. They have turned over every sod….” That is because in the world of Perks Canada Bill Morneau is fair game. If the Liberals go down, the neo-liberal “Conservatives” with the same platform are there to take over. The surface issues can be beaten to death by the likes of Coyne and Hebert. But the issues beneath the surface: Don’t Touch. How many sods have they turned over about (retiring?) RCMP Commissioner Bob Paulson? (Strangely retiring early – at 58.) He had to be the final RCMP overseer of the completely fake evidence-gathering and preparation for the totally phoney thirty-one criminal charges laid against senator Mike Duffy – not one of which held up in an honest court! That story should have just begun … and should be pursued and headlined every week … but Hebert and Coyne are nowhere to be seen (nor any others in their pack) on the story. And so … as planned by their masters … the outrageous, gigantic story of the false criminal charges against Mike Duffy is … disappearing…. How many sods are they turning over about what had to be Bob Paulson’s role in the GIGANTIC (run-out-of-Ottawa RCMP Headquarters) False Flag entrapment of two defenceless Canadians to fake an Islamic Terrorist Attack at the Victoria, B.C. legislature grounds on July 1, 2013? (incidentally involving more than 200 RCMP and millions of tax-payers’ dollars). The (face-saving?) Appeal against the unequivocal erasure of ALL charges against the two entrapped Canadians by B.C Supreme Court Justice Catherine Bruce – who laid all responsibility for the event upon the RCMP – is to happen on January 18, 2018. Where are Chantal Hebert and Andrew Coyne (and their journalist pack) on one of the Biggest National “Terror” Stories in Canada since the FLQ Crisis of 1970, involving, almost certainly, Stephen Harper and the PMO, and now the Trudeau cabinet? Hebert and Coyne, and their pack … are … (you guessed it!) nowhere to be seen…. Sods turned over? None whatever. Sorry. And now Ralph Goodale, Minister of Public Safety and Emergency Preparedness in the federal government has (I insist) endorsed RCMP criminal activity… an outrageous act, for which he should be forced to resign. Where are Chantal Hebert, Andrew Coyne and their spineless, conscienceless pack? Why … Why are they letting Ralph Goodale off without so much as a question? All this is brutally vile. Two innocent Canadians. Entrapped. Charged with false charges. Tried. Harassed. Jailed … for months. Targetted. Still being dragged through horror so the RCMP can fake legitimacy with a Supreme Court of B.C. Appeal. Will it be a stacked court? We will have to wait and see …. Where oh where … on another issue … are Chantal Hebert and Andrew Coyne and their pack … how many sods have they turned over … as Big Oil in Alberta, hand in hand with the Alberta government and the Alberta courts and the Alberta RCMP and, of course, the Alberta ‘open and free press and media’ continue their program to wreck the life of Jessica Ernst. (The only stellar exception in the Jessica Ernst story is journalist Andrew Nikiforuk who tracks the Corporate/Court Horror Story for all who care.) Ernst is trying to gain a shred of justice and meaningful regulation in the matter of public health, landscape destruction, air/water and general environmental poisoning by Encana Corporation and the rest of Big Oil in Alberta (by “fracking” and other means)… starting with the fracking pollution and destruction of her own farmland in Rosebud, Alberta? 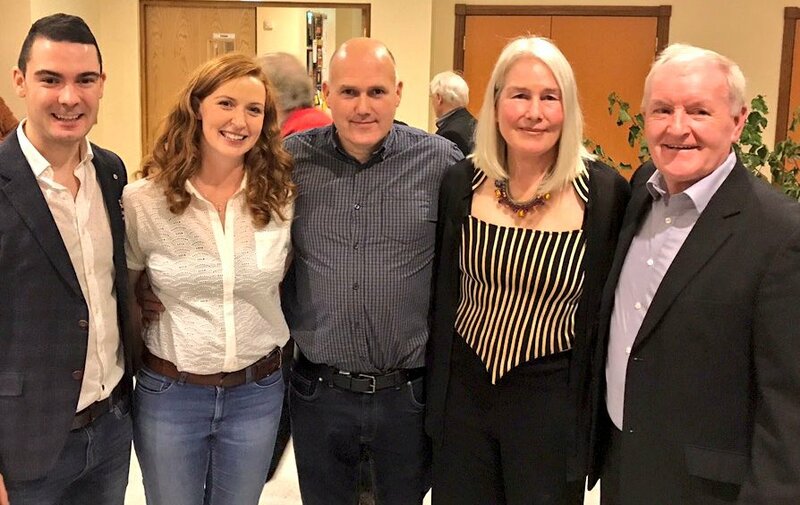 Jessica Ernst is just back from appearing in England and Ireland where she is something of a hero – for alerting the Irish to the truth about Fracking … so they could outlaw it. [Ernst] did much to alert North America … and most certainly Alberta. The Right in power in Alberta at the time when she began didn’t support her … at all. Worked to obstruct her. But the NDP? When it came to power surely all must have changed…. Sorry. Not at all. The bold NDP took power in Alberta in 2015, and to show her courage and determination to serve the people, Rachel Notley, premier, did nothing to support Jessica Ernst. Premier Notley, in fact, retained as Alberta Energy Regulator a man who had been president of the Canadian Association of Petroleum Producers and a top officer of Encana Corporation. Ridiculous? Of course. That is the fossil fuel corporation against whom Jessica Ernst has fought, facing every dirty trick (I allege) that big power, corrupted courts, and sleazy policing … and money can use. Rachel Notley (keeping on what I call the odious “regulator”) was telling Big Oil in Alberta (I allege) that she is Big Oil’s Girl – Now And Forever …. Every decent Canadian must wonder how … in addition … when a portion of the Jessica Ernst court matters got to the Supreme Court of Canada … Justice Rosalie Abella could have termed Jessica Ernst a “vexatious litigant” – as insulting a phrase as almost any that a judge can speak . Not only was Justice Abella wrong – as other judges made clear (Chief Justice Beverley McLachlin, for instance). But the insult was included in the written report and sent to the media. Planned? Paid for? A dirty set-up? An intention to slander? How can we know unless Justice Abella appears publicly to explain and apologize? And of course she wont unless pressed to do so. We may be sure that neither Chantal Hebert nor Andrew Coyne (nor any of what I call the ‘false newsmaking’ pack) will ask Justice Abella to explain publicly her monstrous insult. Not because they can’t … but because they won’t … because that’s not what they are paid to do…. The sods they turn over … do nothing to ruffle the feathers of Real Power anywhere … ever …. OTTAWA—It was a pretty high-powered group. Judges of the Supreme Court of Canada met with judges of the Supreme Court of the United States in Washington last April in the midst of the U.S. election season. Chief Justice Beverley McLachlin, and Justices Andromache Karakatsanis, Richard Wagner, Claude Gascon and Suzanne Côté travelled to the U.S. capital, and mingled with top U.S. judges at a reception hosted by the Canadian embassy. The U.S. presidential primaries were heating up. Donald Trump hadn’t closed the deal on his Republican nomination. And President Barack Obama was fighting flat out with Republican leadership to win approval of his nominee to the U.S. Supreme Court — in vain, it would turn out. So, was it a chance to talk politics or law, or did they engage in gossip and small talk in the safe confines of an elite group of judicial officers who wield influence over the lives and rights of millions? In an exclusive interview with the Star, McLachlin said they discussed legal problems, and she compared judicial travel to academic conferences where ideas and papers on judicial administration and substantive law are exchanged. On the same Washington trip, the Canadian judges sat in on a United States Supreme Court hearing. McLachlin said Canadian jurists travel not just as a way to convey the Canadian way of doing things, or to compare administrative notes, but also to “get a deeper understanding” of a problem that sometimes then aids in the development of Canadian law. “Sometimes it’s — what is the state of the law and how do you approach this particular issue and how do we approach it — and this helps give us a better understanding of the parameters of the legal issue,” she said. What’s clear is there’s cross-pollination of ideas on judicial journeys. What’s not clear is how much. University of Ottawa law professor Carissima Mathen says not much is known about the “sense of camaraderie, or mutual exchange and influence that happens at this very rarefied level” of judicial exchange. She said it’s potentially a sensitive issue, and if there’s an effect “it’s likely to be a silent effect” that goes largely under the radar. McLachlin, however, points to useful discussions on issues like “proportionality,” citing it as an example of where the Canadian high court was influenced by an idea developed first by Germany and adopted by other places such as Israel. It’s framed as a three-part test in Canadian constitutional law, known as the Oakes test. And it’s the key judicial tool used by judges when they evaluate whether a statute or a state action that restricts a fundamental constitutional right — say, freedom of speech or freedom of association — may be upheld as reasonable and justified in a democratic society. University of Toronto law professor David Schneiderman says McLachlin’s comments are revealing because high courts around the world have adopted this kind of proportionality analysis. He said the evaluation of whether a law is proportional is “where all the action takes place” when judges are deciding whether to strike it down. In fact, Schneiderman suggests the Supreme Court of Canada was likely influenced to shift its view of the death penalty over a 10-year period, perhaps by a searing South African Supreme Court ruling on the death penalty and discussions around it. In 1991, the Supreme Court of Canada in Kindler upheld Ottawa’s power to extradite an offender to face the death penalty in the U.S. without receiving assurances the person would not be executed. Then, just a decade later, the Canadian court ruled in the 2001 Burns and Rafay case that a Canadian justice minister must seek assurances an extradited offender wouldn’t face the death penalty, except in undefined “exceptional” circumstances. The new outcome turned on “the practical and philosophic difficulties associated with the death penalty that have increasingly preoccupied the courts and legislators in Canada, the United States and elsewhere,” the high court wrote in Kindler. But as Canadian courts tackle more complex questions in areas of anti-terrorism and national security law, for example, and try to balance collective security with individual liberty and privacy rights, it’s important to understand what goes into judicial thinking. Judges’ travel has been a hot topic in the U.S., part of an ongoing debate about whether that Supreme Court should look to, cite or even care about foreign law in interpreting the U.S. Constitution. Congress once considered a resolution to prohibit the consideration of foreign law in U.S. Supreme Court decision-making. And a Republican congressman actually probed the number of foreign trips American supreme court judges took. Schneiderman thinks there’s a balance to be struck. While Canadian courts do look at foreign law, “we don’t want to mimic” the U.S. court, for instance. “I mean the U.S court is a highly dysfunctional court in many ways. It’s riven by a political divide that we don’t have here,” he said. “We don’t want to copy what they’re doing,” but he suggested there is value in judges informing themselves what others do. “There’s never a downside in looking at other people’s ideas. I mean, each court in the end decides the cases based on the laws in their country and the jurisprudence in their country, and the submissions of the counsel and the intervenors and so on. However both Schneiderman and Mathen, keen observers of the Supreme Court, suggested it’s positive that judges sometimes get outside the “bubble” or narrow confines of judicial circles that are meant to protect the notion of impartiality. In 2016, the Supreme Court of Canada hosted a delegation of British judges from the United Kingdom Supreme Court. 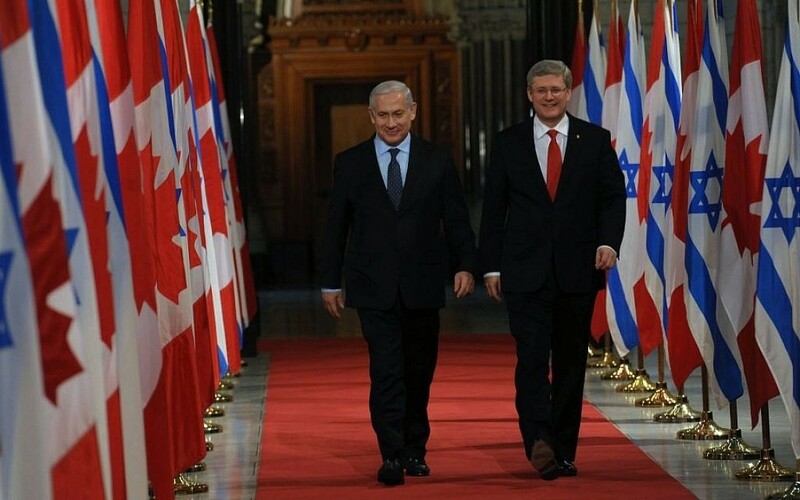 In 2015, Ottawa hosted judges from the European Court of Human Rights, and McLachlin travelled to Hong Kong for a judicial colloquium and to Israel and met with its high court members. There were no judicial exchanges in 2014. There were two judicial visits to Canada in 2013 by U.S. Supreme Court members and judges from France’s Constitutional Council. In 2012, the Canadian court received visits from members of the Federal Constitutional Court of Germany and the Supreme Court of India. That same year, Canadian judges travelled to Australia for a judicial colloquium. Combating terrorism in a democracy means fighting with one arm tied behind your back, and Israel is succeeding in doing that while maintaining a Jewish state, the new deputy president of the Supreme Court of Israel told Montreal lawyers. Elyakim Rubinstein, who has sat on Israel’s highest court since 2004, insisted that Israel’s democracy, including freedoms accorded all citizens, is as healthy as Canada’s despite the ongoing threat to the state’s very existence. “We have managed to hold up both the flag of freedom and rights, and the flag of security,” said Rubinstein, who was attorney general from 1997 to 2003. The highest court’s workload is staggering, he noted. Its 15 justices hear 9,000 cases a year (down from 12,000 in 2004), compared to the approximately 80 that come before the Supreme Court of Canada. Unlike the Canadian judicial system, Israel’s Supreme Court is not for final appeals only, but can be petitioned directly – no need to make one’s way through lower courts, he said. Moreover, a petitioner does not have to be personally involved in the matter, he said. Rubinstein was the guest speaker at the Lord Reading Law Society’s annual Henry Steinberg Memorial Lecture on Nov. 24. Earlier Rubinstein met in Ottawa with Chief Justice Beverley McLachlin and some other justices of the Supreme Court. The Israeli Supreme Court is continually criticized within the country, by some for being too liberal, by others for being too harsh, he said, but its members remain committed to the rule of law and moderation. Rubinstein said the court is often at odds with the military. He offered the example of the time the IDF wanted to bomb a building where they knew the leadership of Hamas was housed, but the Supreme Court vetoed it because there were innocent civilians living in the 15-storey apartment. He also recalled that the Supreme Court ruled in favour of Palestinian farmers who protested that the security fence was running through their land. The Court ordered that they must have minimal hindrance in accessing their fields, either by having the fence rerouted or by having a guarded gate. Rubinstein, who earlier in his career was involved in peace negotiations with Egypt and Jordan, stressed that the enemy is not Muslims. He counselled against despair in the face of terrorism, and remains optimistic that a peace breakthrough could happen unexpectedly and suddenly, as it did when Egyptian president Anwar Sadat, in a historic move, came to Israel in 1977. Rubinstein’s lecture was the culmination of a daylong seminar attended by about 60 lawyers on challenges in international law, from the Israeli and Canadian perspectives, organized with Israel’s foreign affairs ministry and the Centre for Israel and Jewish Affairs. 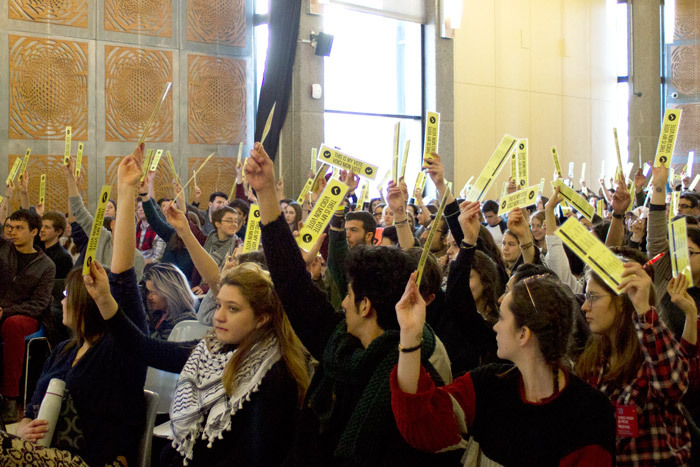 Topics covered included “lawfare,” counter-terrorism and boycott, divestment and sanctions. Among the speakers was Daniel Taub, who recently completed his term as Israel’s ambassador to the United Kingdom, as well as ministry officials from Israel, and a representative of Belgium’s defence ministry. 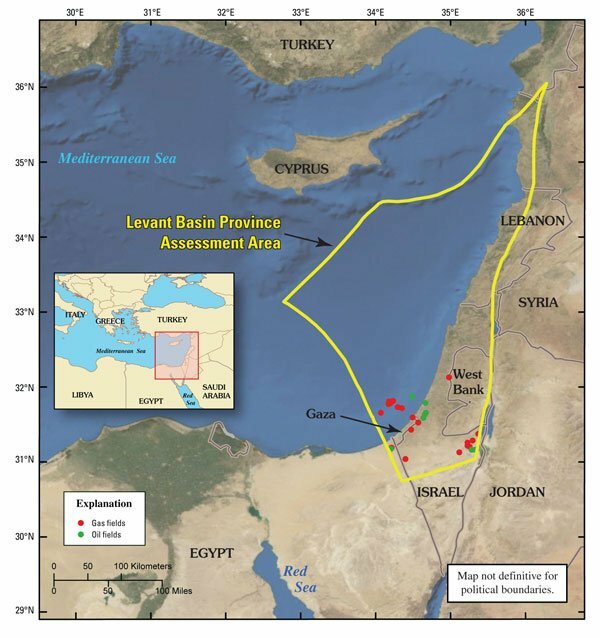 November 2014 – 2017: Did the Supreme Court of Canada excessively delay releasing their ruling in Ernst vs AER to punish Ernst, and publish lies in their ruling to discredit Ernst’s frac lawsuit to enable Israel’s violation of international law and theft of Gaza’s Offshore Gas Fields (that require hydraulic fracturing), setting up Israel to steal all of Palestine’s gas fields? More than five years ago, Israel invaded Gaza under “Operation Cast Lead”. The proposed contract was for $4 billion, with profits of the order of $2 billion of which one billion was to go the Palestinians. 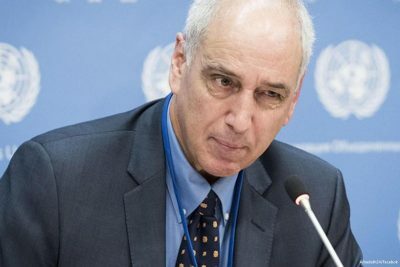 Special Rapporteur on the Palestinian territories Michael Lynk has been slammed by Israeli ambassador to the UN after he urged for economic and travel sanctions to be enforced on the occupying state to force it to withdraw from the West Bank, according to the Times of Israel. “Israel is very dependent upon trade with the outside world,” he said in response to a question on whether sanctions could affect Israel. If there was an understanding that all of a sudden Israelis wanting to travel abroad needed to have visas, if all of a sudden there was an understanding that Israel wasn’t going to get preferential trading agreements with the EU. If all of a sudden, the many and multitude forms of military or economic cooperation or academic cooperation with Israel were now going to come to an end … I think you’d begin to see a sea-change in the attitude of ordinary Israelis and in the attitude of the Israeli government. His statements were subsequently denounced by Israeli envoy Danny Danon who claimed that Lynk was advocating for the Boycott, Divestment and Sanctions (BDS) campaign. “Mr Lynk is exploiting his position to spread hateful incitement against the State of Israel and is acting as a BDS activist under the auspices of the UN,” Danon insisted. “The UN Human Rights Council has lost its legitimacy as it focuses obsessively on attacking Israel instead of working on resolving the real human rights problems plaguing the world,” Danon claimed. Israel and the UN have been at loggerheads in recent months, as the global institution has criticised the actions of Prime Minister Benjamin Netanyahu’s government for international law violations in the occupied territories and the humanitarian situation in Gaza. Yesterday it was also revealed that up to 190 companies could find themselves on the UN blacklist after the UN High Commissioner for Human Rights, Zeid Bin Ra’ad Al-Hussein, sent warning letters to the corporations for operating in the West Bank, East Jerusalem and the Jordan Valley; areas occupied under international law. Israel and the US have previously threatened to cut funding to the UN Human Rights Council if it goes ahead with its plan to publish the list. Whenever a terrorist attack happens such as the one last week in Barcelona, Israel politicians and security “experts” get on TV to criticize European naïvité. If only they understood terrorism as we do and took the preventive measures we do, they say, they would suffer far less attacks. Most infamous in this regard were the remarks of Israeli Intelligence Minister Yisrael Katz after the Brussels bombing in March 2016, in which 34 people died. The Belgians reacted angrily, and asserted the position of most European governments: While we will continue to be vigilant and take the necessary precautions, we are not going to forsake our freedoms and political openness to become copies of Israel. For they understand that Netanyahu’s government is peddling something far more insidious than mere precautions – even more than the weapons, surveillance and security systems and models of population control that is the bread-and-butter of Israeli exports. 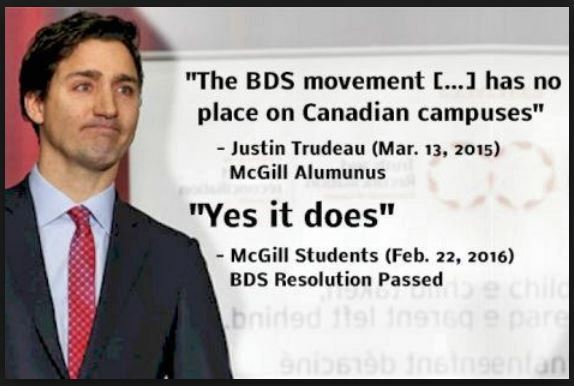 What Israel is urging onto the Europeans – and Americans, Canadians, Indians, Mexicans, Australians and anyone else who will listen – is nothing less than an entirely new concept of a state, the Security State. What is a Security State? Essentially, it is a state that places security above all else, certainly above democracy, due process of law and human rights, all of which it considers “liberal luxuries” in a world awash in terrorism. Israel presents itself, no less, than the model for countries of the future. You Europeans and others should not be criticizing us, say Katz and Netanyahu, you should be imitating us. For look at what we have done. 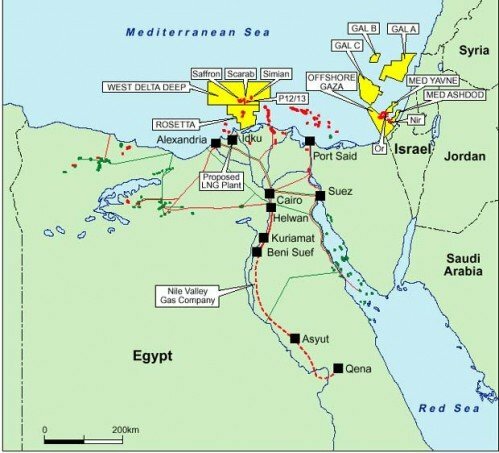 We have created a vibrant democracy from the Mediterranean to the Jordan River that provides its citizens with a flourishing economy and personal security – even though half the population of that country are terrorists (i.e., non-citizen Palestinians living in isolated enclaves of the country). If we can achieve that, imagine what we can offer those of you threatened by terrorist attacks? In a brilliant shift in imaging, Israel has managed to turn 50 years of Palestinian resistance to occupation into a cottage industry. By labeling it “terrorism,” it has not only delegitimized the Palestinian struggle but has transformed the occupied territories in a laboratory of counterinsurgency and population control, the cutting edges of both foreign wars and domestic repression. It has transformed tactics of control and their accompanying weapons of surveillance systems into marketable products. No wonder, as Netanyahu constantly reminds us, “the world” loves Israel. From China to Saudi Arabia, from India to Mexico, from Eritrea to Kazakhstan, Israel supplies the means by which repressive regimes control their restless peoples. 1. Israel harnesses foreign security agencies and police forces to lobby for Security State practices in their own countries. It scoffs at the unwillingness of Western democracies to employ ethnic and racial profiling, as Israel security and police do at Ben-Gurion International Airport and throughout the country. In specific contexts like airports profiling may indeed be efficient – Ben-Gurion is certainly one of the safest airports in the world – but it comes at the price of humiliating and delaying those targeted. When extended outward into society, however, it loses that effectiveness and almost invariably turns into a legalized method of intimidation against whatever populations a government seeks to control. 2. The Israeli national police holds dozens of training programs and conferences with police forces from around the world, with an emphasis not on domestic police tactics but rather on “internal counterinsurgency” and the pacification of troublesome populations. The Georgia International Law Enforcement Exchange Center in the U.S. claims to have had 24,000 American police trained by their Israeli counterparts. Unlike other Western countries that erect a wall between their militaries that conduct operations abroad and their domestic security and police agencies charged with ensuring the security but also the civil rights of their citizens, Israel has no such internal constraints. The IDF and the police are one interlocked unit, with paramilitary forces – the Shin Beit, the Border Police, Homefront Command, Yasam and others – further connecting them. Thus in Israel the distinction between citizens with civil rights and non-citizen “suspects” and targets gets lost, and that is a distinction Israeli police try to erase in their training of foreign police as well. In its ultimate form the Security State peddled by Netanyahu and Katz is merely a form of police state whose populace is easily manipulated by an obsession with security. Israel’s model is especially invidious because it works; witness the pacification of the Palestinians. That seems like a potent selling point indeed. The problem is that that it turns a country’s own people into Palestinians without rights. It would seem that the Security State can be reconciled with democracy – after all, Israel markets itself as “the only democracy in the Middle East.” But only the world’s privileged few will enjoy the democratic protections of the Security State, as do Israeli Jews. 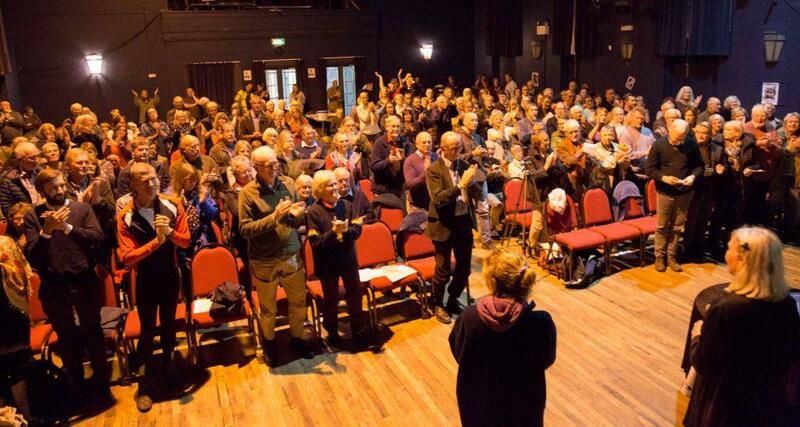 The masses, those who resist repression and exclusion from the capitalist system, those who struggle for genuine democracy, are doomed to be global Palestinians. 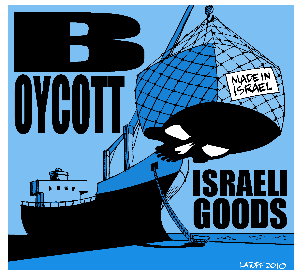 If the label says Made in Israel, or contains items made in Israel, Ernst will not buy it. Ernst opposes the apartheid state of Israel’s “settlements” and daily torture of Palestinians. Ernst opposes greed, corruption, violence, and crimes against humanity, and opposes bullies (country, corporation or court) stealing rights, lands and resources from the weak. 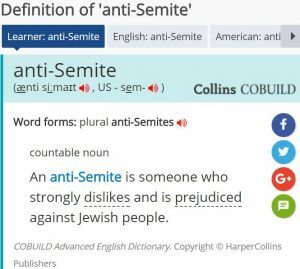 How does that make one anti-semite?